In this guide, we will go through the steps necessary to configure and enable payment reminders for your customers. Prior to beginning, please ensure you have setup your System Cron. 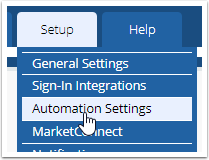 A guide for setting up your Cron with cPanel is found here although setting up with other control panels is very similar. To do this, we simply need to fill out the appropriate fields in the Billings Settings Section. We also need to make sure the Payment Reminder Emails option is enabled. After making the settings we desire, scroll to the bottom of the page and choose Save Changes. You are all set, your reminders will be delivered to your customers based upon your settings you just set. Another powerful feature of WHMCS is the customization of the email templates. This step is optional as we provide default templates. To learn more about customizing the email templates for the Payment Reminders you just setup, please see Customising Email Contents.